COBS Bread is an HIH favourite and was one of our amazing HIH Event Sponsors. So you can all indulge in some delicious HIH approved meals, here's a couple meal ideas using our fav COBS Breads! 1. Summer grilling and entertaining! COBS Bread Hamburger and Hot Dog Buns come in Traditional, Ciabatta (vegan! ), Gourmet or Brioche. Perfect for vegan burgers, chicken burgers, hamburgers, sausages, etc. Enjoy them grilled on the BBQ or fresh! 2. Backyard or outdoor picnics! COBS Bread Slider Buns or Dinner Rolls (perfect for mini sandwiches for kids). 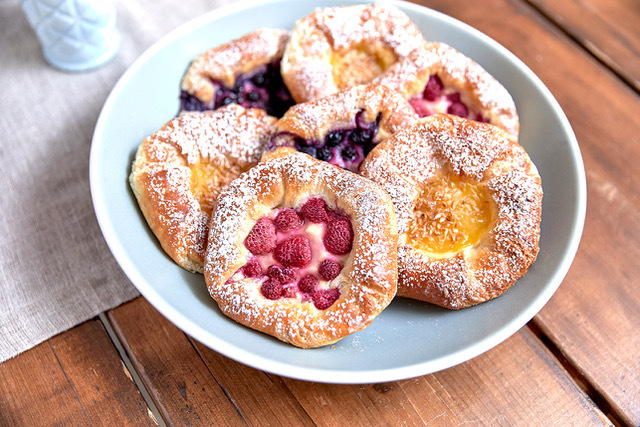 Or, for those with a sweet toothpick up a variety of COBS Bread danishes for cottage brunches or road trips! They come in Raspberry & Custard, Cranberry & Custard, Wild Blueberry & Custard, and Lemon & Coconut! 3. 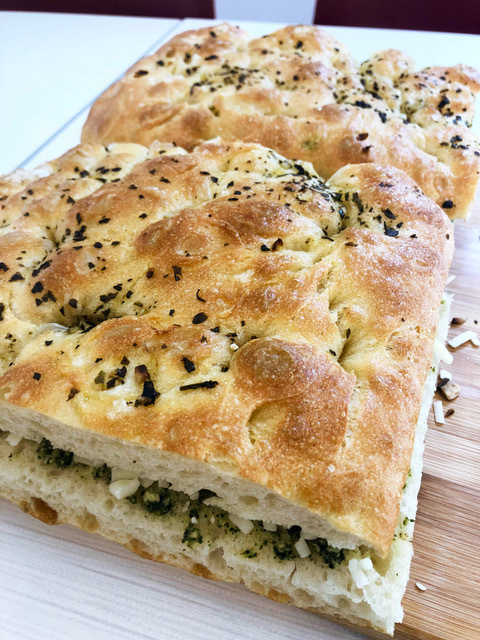 Perfect Panini Sandwiches: Try them with COBS Bread Turkish or Focaccia bread – the crust gets delightfully crunchy and the inside stays soft! 4. Grilled Cheese Anyone? 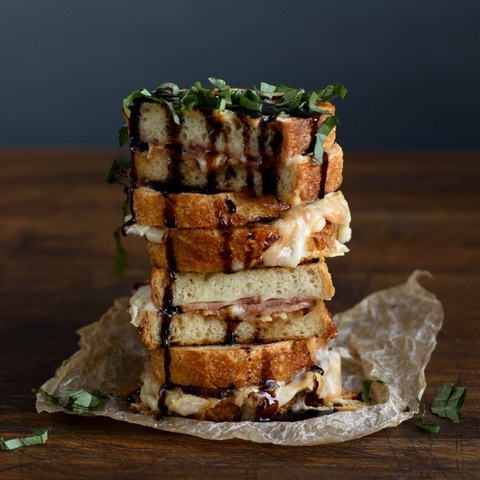 COBS Bread Sourdough makes the best-grilled cheese (to kick it up a health notch, try it with COBS Bread Sunflower Flax Sourdough with the perfect mix of sunflower and flax seeds and add fresh Granny Smith apple slices or dried cherries for a fruity taste!). You’ll love the chewy, crisp crust of the sourdough with the added nutty flavour and health benefits of seeds! 5. Healthy & Hearty Sandwiches! 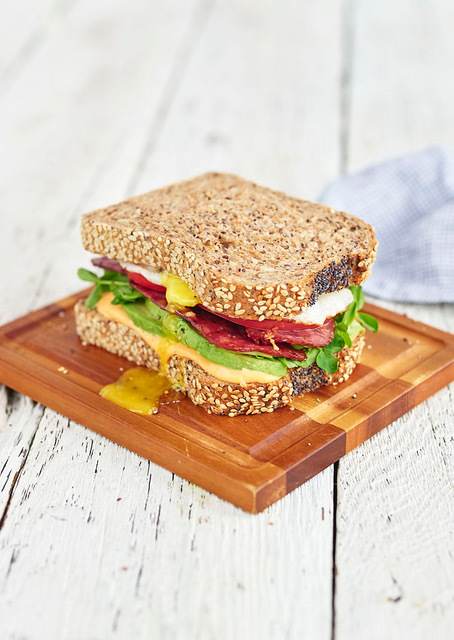 Load up with grilled veggies, your favourite vegan spreads, and cheese/smoked meat/or vegetarian option for the most scrumptious flavourful sandwich using COBS Bread Country Grain or Cape Seed Loaf. These breads are full of flavour and texture and packed with nutrients and the goodness of grains and seeds.